A tornado cut through the parking lot of an auto repair shop in Lafayette, Louisiana last weekend, picking up and tossing somebody’s car. That might make the repair estimate go up. According to KTRK, this tornado was part of a system that killed five people across three states over the weekend. 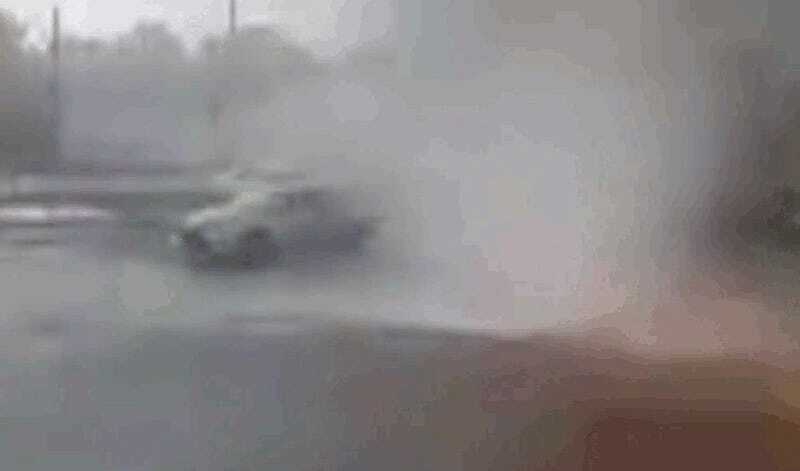 Let this video be a good argument for getting somewhere safer than a car during a storm like this. Definitely don’t go driving into the tornado.